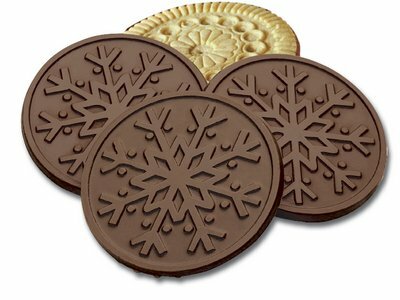 A delicious Sugar cookie shaped like a snowflake and covered in dark chocolate. Delicious 3.2" sugar cookie topped in dark chocolate. Each cookie is individually wrapped in printed silver cellophane.